I know how difficult it is to find time for employee training! I've been there myself. I've learned over the years that providing excellent employee training, saves us time in the long run. improves service or product quality, which in this case refers to enhancing the lives of the seniors! I want to make YOUR job EASIER! I pointed out some reasons why it is important to provide employee training, but let's be realistic. The last thing we want to do is research and plan for an inservice! I did the work for you by putting together an amazing bundle of inservices that I know will help make your job easier and provide more time for you to engage in meaningful activities with the residents, which is why you entered this profession in the first place! Right? 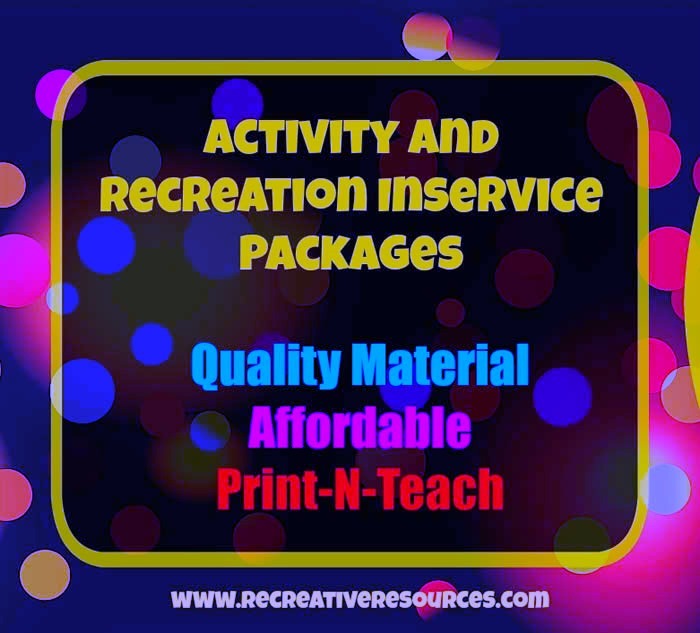 These inservices are specially designed to assist the Recreation Director, Activity Director, or Supervisor, in providing high quality inservices for the Recreation staff, Activity staff and the facility staff as well. 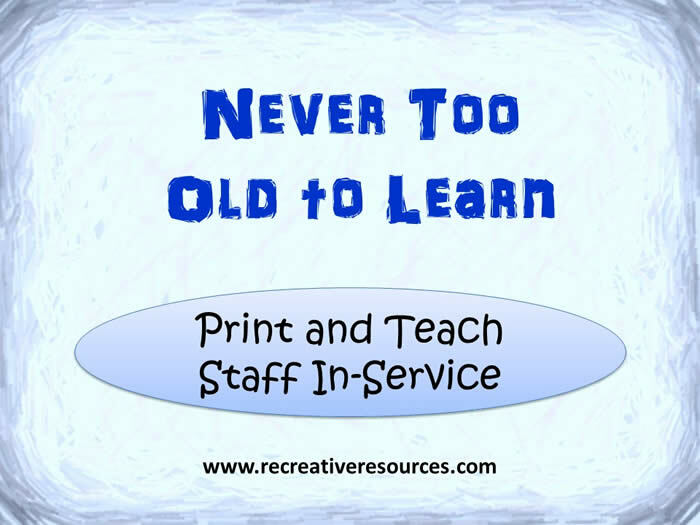 All you need to do is PRINT and BEGIN Training - EASY PEASY! that are included in this PDF bundle! This 60 minute inservice is designed to assist the Recreation/Activity or Staff Educator in providing an overview of One to One meaningful activities as it pertains to older adults and elders. Many one to one programs are presented. This is a wonderful inservice for all staff and volunteers. Note: This is introductory material. *define one to one activities. 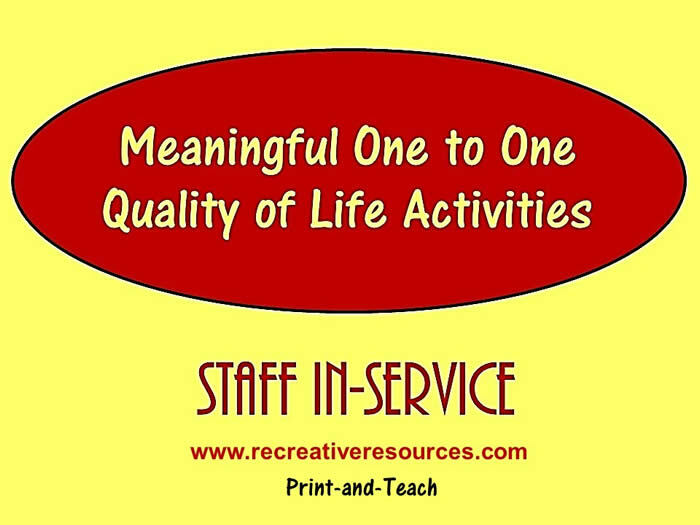 *state at least 5 benefits of one to one activities. *discuss at least 6 one to one activity ideas. 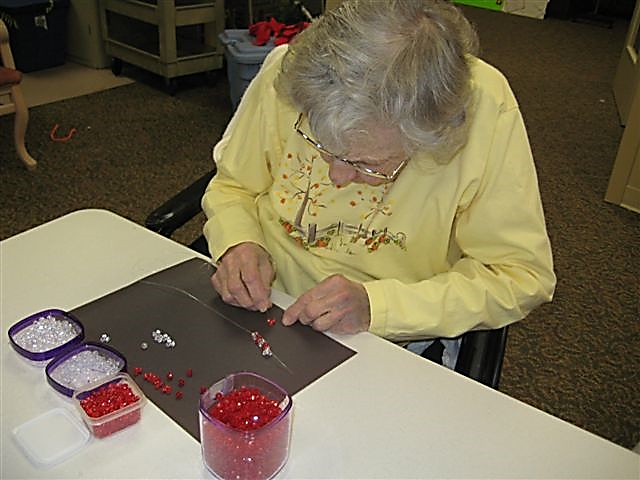 This 60-90 minute inservice is designed to assist the Recreation/Activity or Staff Educator in providing an overview, as well as tips and techniques of sensory stimulation as it pertains to older adults and elders. Note: This is introductory material. *identify residents who would benefit from SS. *identify the A.P.I.E. 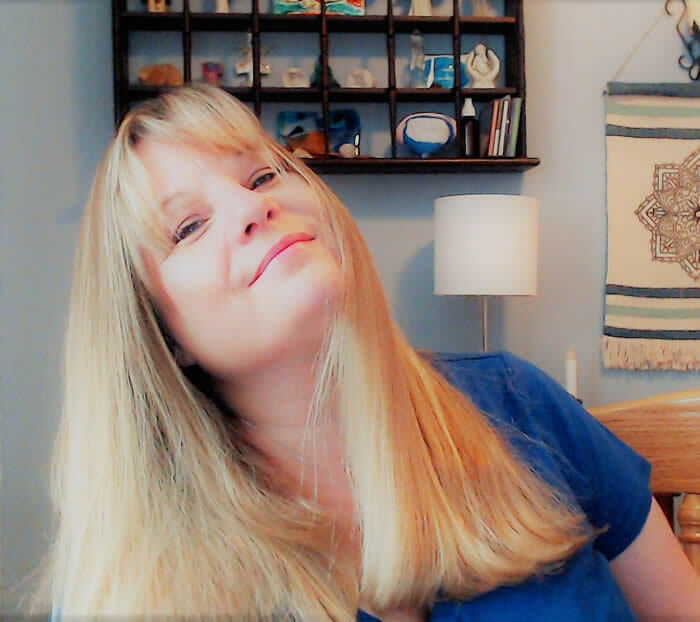 process and how it relates to sensory stimulation. *discuss and utilize at least one facilitation technique in each of the 6 senses. *recognize resident responses to stimuli. *complete a theme-related sensory planning guide. 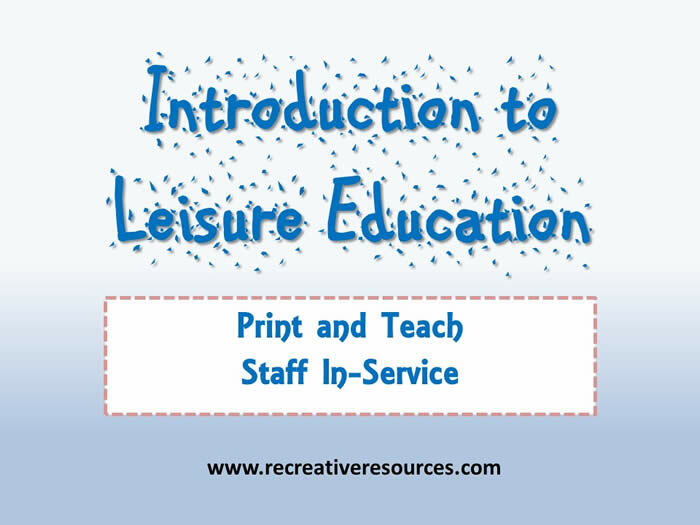 This 60 minute inservice is designed to assist the Recreation/Activity or Staff Educator in providing an overview of Leisure Education as utilized with older adults and elders. Note: This is introductory material. *state at least 4 benefits of Leisure Education. *describe at least 4 Leisure Education activities. This 60-90 minute inservice is designed to assist the Recreation/Activity or Staff Educator in providing an overview of educational activities as it pertains to older adults and elders. This is introductory material. *identify 3 or more benefits of educational activities for the elderly. *discuss 3 or more characteristics of the older learner. *identify various physical, cognitive and social barriers to learning that the elderly may encounter. *identify at least 10 educational activities for the elderly in the LTC or other geriatric setting. This 60 minute inservice is designed to assist the Recreation/Activity or Staff Educator in providing an overview of Humor Therapy as utilized with older adults and elders. Note: This is introductory material. *state at least 5 benefits/effects of Humor Therapy. *name at least 5 Humor Therapy activities. 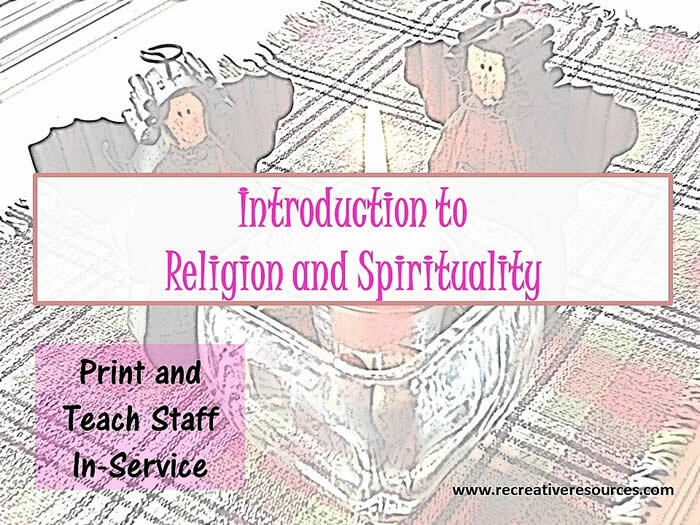 This 60 minute inservice is designed to assist the Recreation/Activity or Staff Educator in providing an overview of Religion and Spirituality as utilized with older adults and elders. Note: This is introductory material. *define religion and spirituality and state the difference. *state 5 benefits of religion and spirituality programs. *name 5 religious activities and 5 spiritual activities. This 60 minute inservice is designed to assist the Recreation/Activity or Staff Educator in providing an overview of Remotivation as utilized with older adults and elders. Note: This is introductory material. *state at least 4 benefits of Remotivation. *describe the 5 stages of Remotivation. This 60 minute inservice is designed to assist the Recreation/Activity or Staff Educator in providing an overview of Reminiscence as utilized with older adults and elders. Note: This is introductory material. *state at least 5 benefits of Reminiscence. *name at least 5 Reminiscence activities. ALSO INCLUDES THIS BRAND NEW INSERVICE! Still not sure? 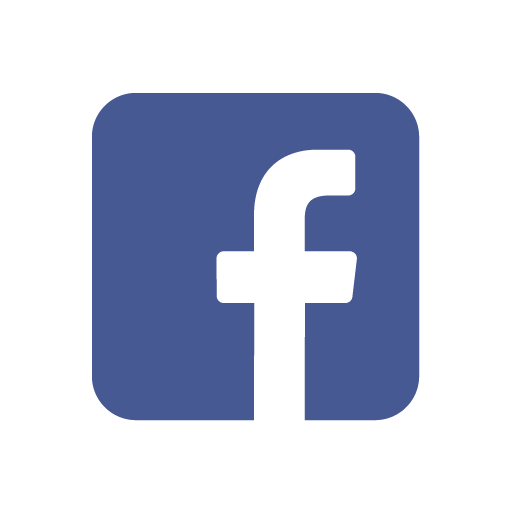 Check out what others have to say! All materials are sent via email in pdf format for you to download. Emails are typically sent out within 24 hours or less, but please allow up to 72 hours. Some emails are blocked, so if you do not receive your order in three business days, please contact Kim and leave your phone number or additional email address so I can help you. Please add kimgrandal36@gmail.com and kim@recreativeresources.com to your safe senders' or white list. Thank you for taking the time to learn more about this inservice bundle. As a former Director of Therapeutic Recreation with a staff of over 25 employees, amongst other director and consultant postitons, I have extensive exerience in training employees. I fully relate to the challenges you face as a manager or supervisor. I was always on the lookout for training materials to train employees and volunteers. I am confident that these inservices will help make your job easier by giving you tools you need to provide training. Please do not hesitate to contact me if you have any questions. I am happy to assist you. Happy training!